Opabinia. Computer illustration of an Opabinia sp. predatory aquatic arthropod catching prey. 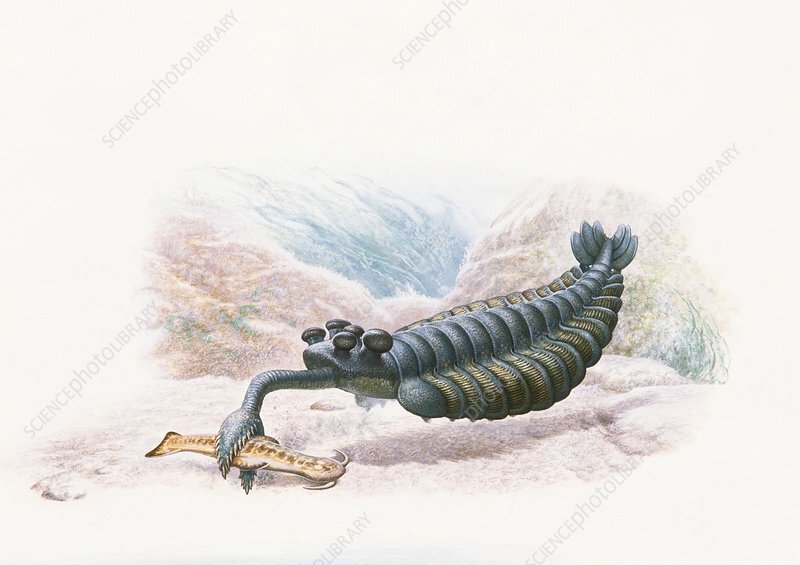 Opabinia lived during the Middle Cambrian period in what is now British Columbia, Canada. It had a segmented body, and a head with five eyes and a proboscis thought to pass food to the mouth.